The official launch of Ideally's mobile shopping app and analytics platform at Shoptalk in Las Vegas. Ideally is officially launching at Shoptalk. Previously known as "Compelation" during its early beta period, Ideally is introducing its next-gen commerce platform at the industry event. Founded by David Gudai in 2013 and joined by co-founder Nicholas Babb in 2014, Ideally's official public launch comes after two years of building and refining the platform's two-sided marketplace. Mr. Gudai was previously the Chief Marketing Officer of eCommerce company Storkie.com. Mr. Babb previously led the software development agency Cybergroup, with a focus on scalable eCommerce solutions and cloud-based architecture. Ideally originated from two relatively simple ideas: 1) that consumers shouldn't have to hunt for deals or wait for special sale times; 2) that companies should have better data to inform pricing decisions through transparency into latent consumer demand and an ability to convert demand into transactions. Combining these insights resulted in the foundation of a new shopping platform - an entirely new way for consumers to buy and companies to sell. 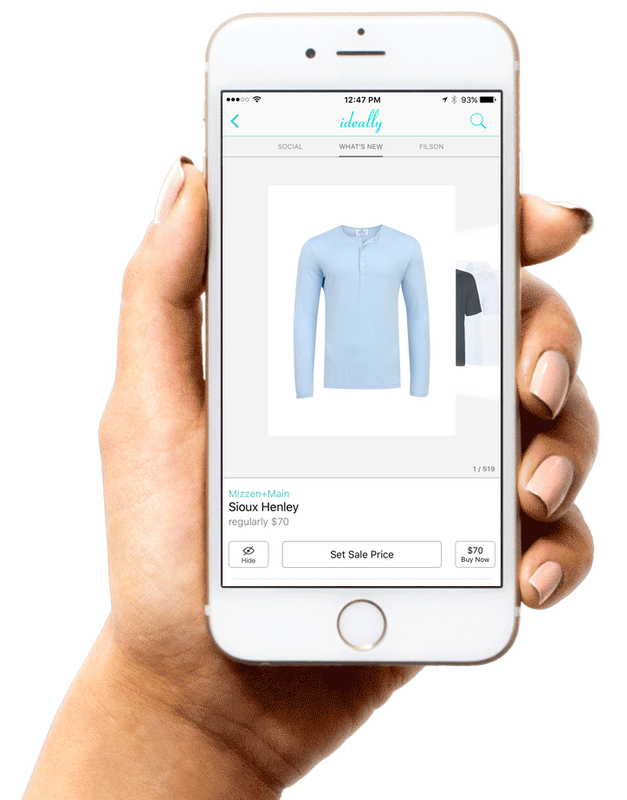 For consumers, Ideally is a mobile shopping wishlist app to collect products and brand gift cards along with the sale prices they would be willing to pay. The platform automatically buys when possible, and cultivates exclusive deals. For companies, Ideally is one part analytics platform and one part new sales channel - providing transparency into consumer demand and the ability to instantly capture orders through an interactive demand curve with a "Sell Now" button. It's fitting that Ideally chose to launch at Shoptalk. "Shoptalk is the only industry event where retailers and brands can discover the most important new business models and technologies and network with the most influential innovators to help move the commerce ecosystem forward," said Anil D. Aggarwal, founder and chairman of Shoptalk. This spirit of creating the future of commerce aligns with the vision of Ideally's founders for a new shopping experience and the innovative technology that enables it. Ideally is a next-generation marketplace introducing a new model of commerce. For consumers, Ideally is a mobile commerce and wishlisting app where they can save products and brand gift cards along with the sale prices they want to pay. The free app is available for iOS in the App Store. For companies, Ideally is one part analytics platform and one part new sales channel - providing transparency into consumer demand and the ability to instantly capture orders through an interactive demand curve with a "Sell Now" button. Shoptalk is an unprecedented gathering of individuals and companies reshaping how consumers discover, shop and buy any product, service or experience, providing a platform for large retailers and brands, startups, tech companies and investors to come together in an open and friendly environment. Shoptalk will be held on May 15-18, 2016 at the Aria in Las Vegas.